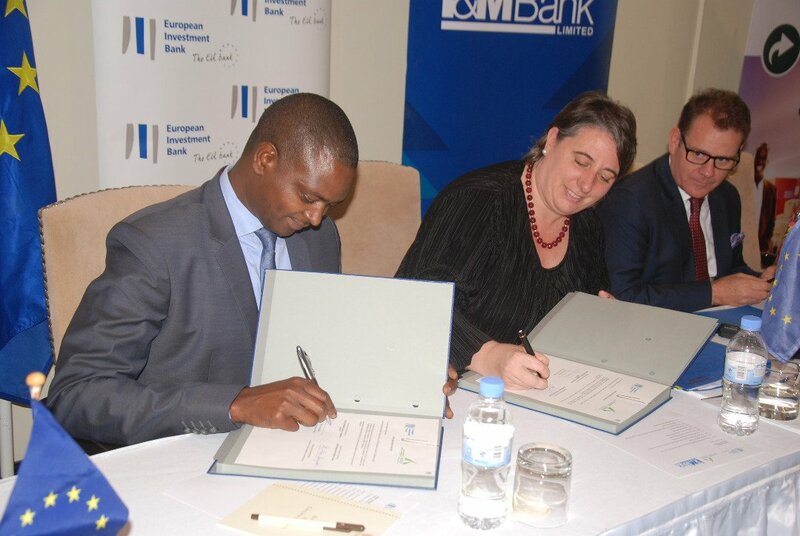 The European Investment Bank (EIB) has handed over two soft loans to Rwandan investment and commercial banks to enable Small and Medium Enterprises (SMEs) to borrow easily this year. The two new financing programmes consists of a €15M credit line with the Development Bank of Rwanda(BRD) and a $10M lending programme managed locally by I&M Bank Rwanda (IMR) which will be accompanied with technical assistance to backing private sector investments. The bank also signed a financing agreement of €45m for construction of first public sewage system in Kigali city. “EU recognizes the crucial role of private sector Investment to support sustainable economic growth and reduce poverty. This new initiative by EIB builds on the proven track record of helping companies across EA to expand, including here in Rwanda,” said Ambassador Nicola Bellomo, EU representative in Rwanda at the signing. The EIB Director for Investment outside Europe, Maria Shaw-Barragan, said that the agreements are in context of Private Enterprise Finance Facility where they work with local partners. “We are pleased to build on previous successful lending initiatives which created at least 3000 jobs in different sectors with 2 leading Rwandan financial institutions,” Shaw-Barragan said. This is the second EIB line of credit to both local banks. The first line of credit agreement was signed in 2007. EIB signed two agreements, one for Euro7million with BRD and another for Euro3million with Banque Commerciale du Rwanda (BCR) – (Now I&M Bank). The EIB investment will give chances to Small and medium business enterprises which are currently being enticed by the Rwanda stock exchange to list their capital on the bourse. In the meantime, both Rwanda stock and all shares indices remained constant to close at 133.21 and 133.17 respectively. Today’s trading session recorded a total of Rwf800, 000 worth of bond traded in 2 deals.